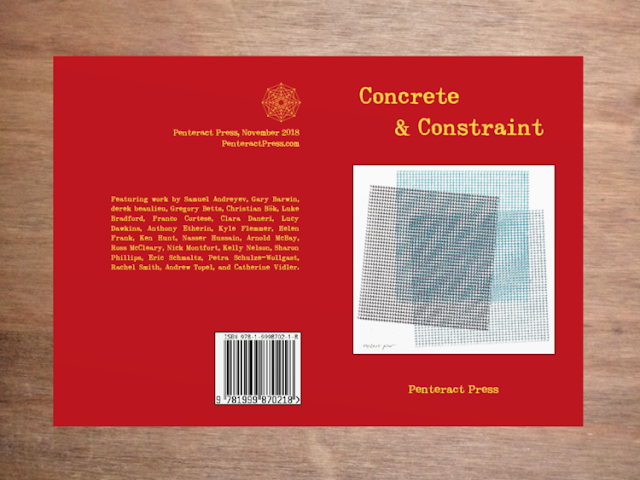 Excited to be a part of this new Anthology 'Concrete and Constraint' published by Penteract Press. Samuel Andreyev, Gary Barwin, Derek Beaulieu, Gregory Betts, Christian Bök, Luke Bradford, Franco Cortese, Clara Daneri, Lucy Dawkins, Anthony Etherin, Kyle Flemmer, Helen Frank, Ken Hunt, Nasser Hussain, Arnold McBay, Ross McCleary, Nick Montfort, Kelly Nelson, Sharon Phillips, Eric Schmaltz, Petra Schulze-Wollgast, Rachel Smith, Andrew Topel, and Catherine Vidler. 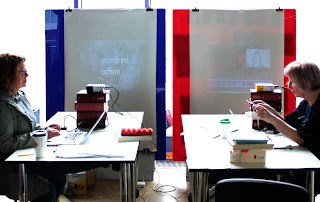 Clee worked with me was one of the invited artists who took part in my Interrupteur residency and following on from our discussion around this experience was bringing in artists into the space to work alongside as a challenge to her own practice. For my day I wanted to explore Umberto Eco's description of the Encyclopaedia as Labyrinth. Here he writes about the different types of labyrinth, from the classical with only one possible entry and exit, to the maze with its dead ends, and the rhizomatic labyrinth which he describes as a net. I knew that the construction of the net would visually fit with the sculptural work Clee makes and during my residency time with her I was interested by our similar concerns through different media, shifting my generally 2D thinking into 3dimensions. 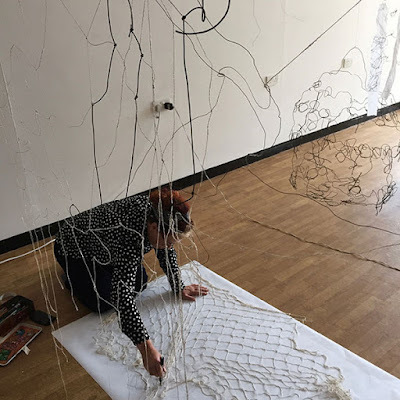 In order to think through Eco's exposition I had purchased a cotton string net and wanted to draw and physically handle the net in order to perform the action of navigating the rhizomatic. All connections being possible and each journey taken from a different starting point, using a different route across the connections. 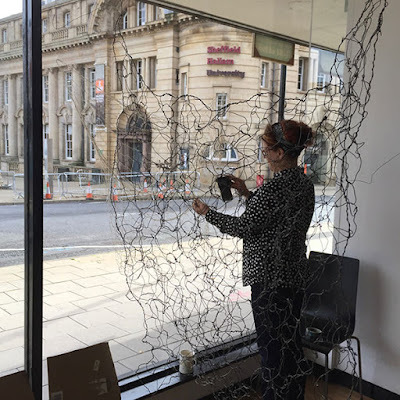 As well as drawing, physically manipulating the bought net while discussing ideas, we constructed our own net, from string, elastic and wire, this was then hung and draped in the space amongst the other sculptural objects. Excited to have just received a set of my new pamphlet work, Voler: To Steal and Fly. 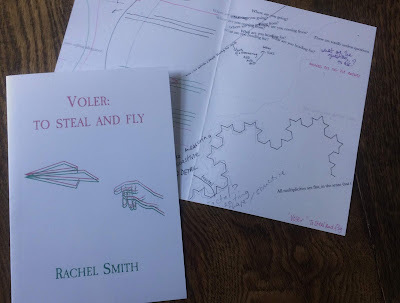 The title of the work makes reference to Hélène Cixous when she writes in the Laugh of the Medusa about women's writing taking flight and jumbling the order of space - simultaneously occupying the space as birds and robbers, as both meanings are held in the translated sense of voler. Pages are stolen from another book work -Lines of Flight, which I made for the AMBruno project [sic], http://ambruno.co.uk/sic.html and released for flight in a performative diagrammatic action, tracing lines made in a continual search for meaning. Today I am starting my artist residency, at the University of Sheffield, working in the foyer at Jessop West. interrupteur holds both the mistaken notion of the interruption and the actual translated sense of the word – switch: as exchange, shift, or transformation. 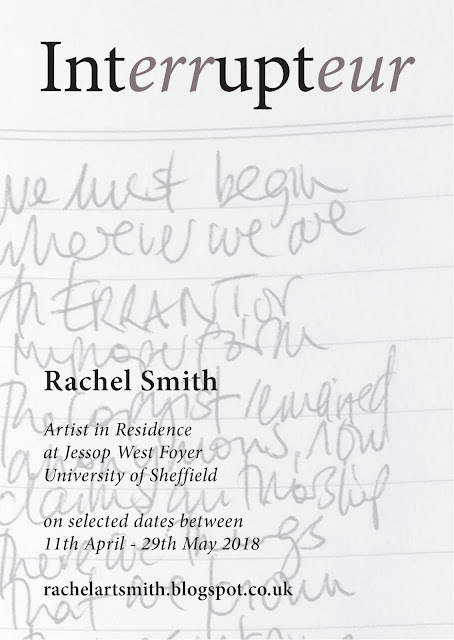 Forging conversations and collaborations between artists and academics is at the heart of the project’s endeavour, but initially Rachel Smith as artist in residence will be present in the foyer of the Jessop West building on selected dates (see below), working, making art, and being interrupted by conversations and the unexpected encounter. 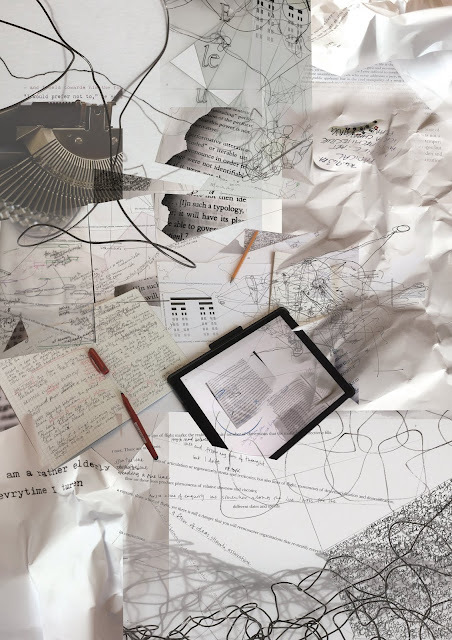 Smith uses drawing, photography, and writing to explore the materiality of the peripheral details in the acts of reading, writing, and listening. The grasping action of finding sense in the face of the excesses of language sometimes pushes the work towards wordlessness. Equally gaps, voids, misunderstandings, and errors are opened in the work, containing the potentiality of that which has yet to happen. Producing these generative spaces allows room for other voices. These gaps in the practice may contain no visible language, but they are not empty – they possess a latent energy. These are the spaces inhabited by the other, the as-yet-unwritten, the as-yet-unread, the as-yet-unspoken, or the as-yet-unheard. Beyond producing her own work Smith will host conversations, events, performances, staged dialogue, and even accidental occurrences. The project explores how artists might open spaces for dialogue and collaboration between and beyond expected outcomes, engaging across disciplines and inhabiting liminal and in-between spaces. In her occupation of the foyer at Jessop West, other artists will move through the space, stopping to collaborate, discuss, perform, and workshop ideas. 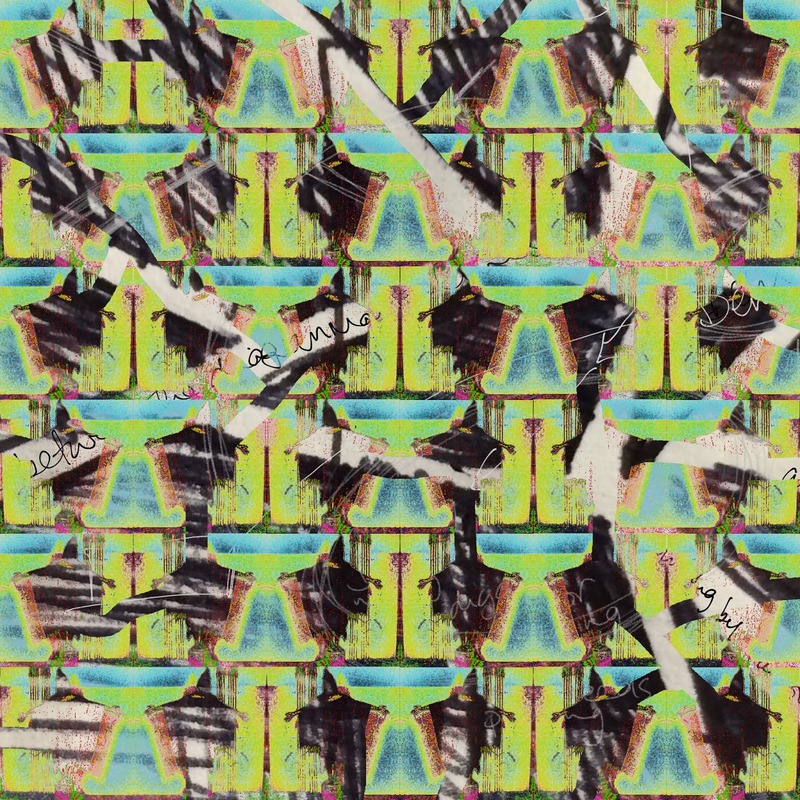 Not-knowing, error and misrepresentation, hybridity, constraint and improvisation, are some of ideas explored during the conversations and work in progress during the residency. 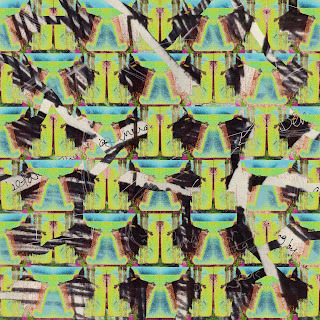 Quotations selected for each day of work will act as provocation or a filter through which to work and think. You are welcome to interrupt, join in, exchange ideas, observe, listen in, or merely glance and walk by.